Belsnickel might wear a long black or brown coat or robe, held together at the waist with a rope, and a fur cap or bear skin hat, decorated with bells. 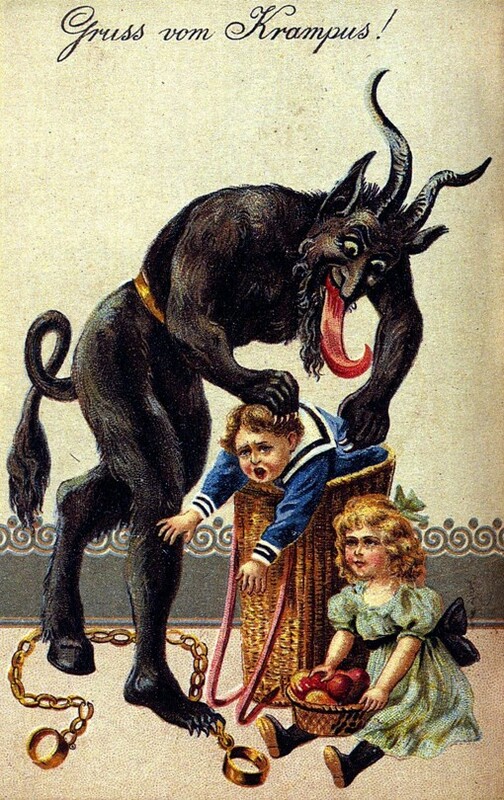 Old St. Nick’s not the only traditional Christmas character who comes round every December to evaluate children’s behavior and dole out corresponding rewards or punishments. In fact, there’s a whole cast of such figures across European folklore. Some of them serve to supplement Santa Claus, while others supplant him; Belsnickel is somewhere in the middle of this spectrum. is related to other companions of Saint Nicholas in the folklore of German-speaking Europe. 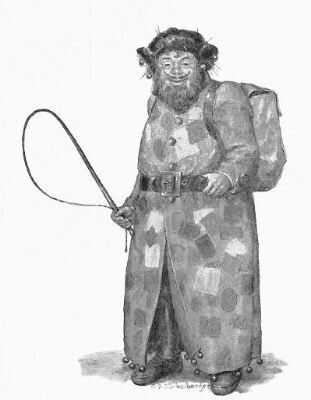 He may have been based on another older German myth, Knecht Ruprecht, a servant of Saint Nicholas, and a character from northern Germany.Unlike those figures, Belsnickel does not accompany Saint Nicholas but instead visits alone and combines both the threatening and the benign aspects which in other traditions are divided between the Saint Nicholas and the companion figure. Belsnickel is a man wearing furs and sometimes a mask with a long tongue. He is typically very ragged and disheveled. He wears torn, tattered, and dirty clothes, and he carries a switch in his hand with which to beat naughty children, but also pocketsful of cakes, candies, and nuts for good children. With Christmas nearly upon us, there’s still time to get out there and do some ‘Belsnickling’! “A ton of chocolate” has brought a local road to a standstill in Germany, according to local authorities. The road was closed in the western town of Westönnen late on Monday after a tank of chocolate in a factory spilled and poured into the street. The chocolate quickly solidified. About 10 sq m (108 sq ft) was cleared by 25 firefighters using shovels, hot water and blowtorches. Left unanswered are many crucial questions, such as: does the five-second rule apply to spills of this magnitude? In a lovely gesture that would surely make every Finn’s day, the Norwegian government is considering slightly redrawing its border to give Finland a mountain peak, which would become its highest point. The occasion? The 100th anniversary of Finland’s independence from Russia. The originator of the idea is a retired geophysicist and government surveyor, Bjørn Geirr Harsson, 76, who learned last year that Finland would celebrate the 100th anniversary of its independence from Russia on 6 December 2017 and recalled being puzzled by the location of the border when he flew over Halti in the 1970s. Harsson wrote to the ministry of foreign affairs in July 2015, pointing out that the gesture would cost Norway a “barely noticeable” 0.015 sq km of its national territory and make Finland very happy. Public reaction has been overwhelmingly positive in both Norway and Finland, with the only objection so far coming from the indigenous Sami community, whose reindeer roam freely across the border and who argue that the land should belong to neither country. If only all nations could learn such magnanimity.